Henry Gager, the first settler in the area, handled the mail at the J.C. Burbank and Company stage station at Fort Chippewa. 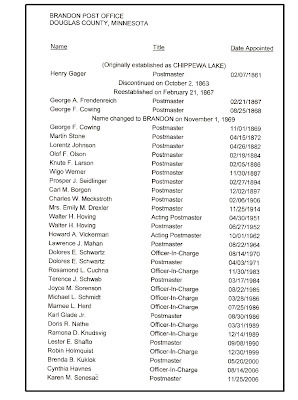 He was officially appointed postmaster at what was called Chippewa Lake in February of 1861. The postal site was discontinued in October of 1863 when the area was evacuated due to an Indian uprising. It was reestablished in February of 1867. 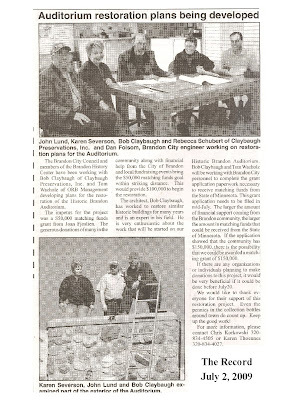 In November of 1869 the name was changed to Brandon and was moved two miles south of Fort Chippewa to a location closer to the new railroad line. 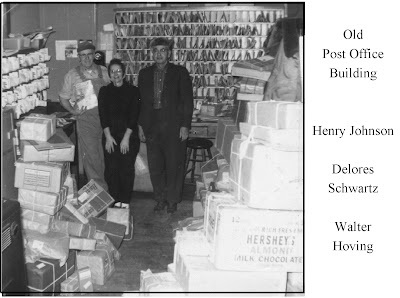 The original Brandon post office was located at approximately 207 Front Street. 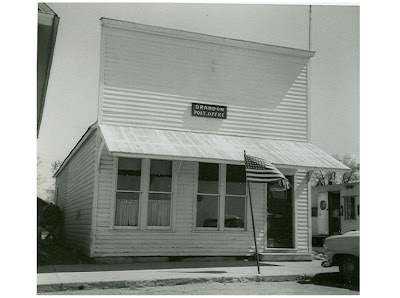 A new post office was built in 1959 one block west of the original site, at the corner of Front Street and Central Avenue. Henry Johnson, rural mail carrier. Delores Schwartz, clerk. Walter Hoving, postmaster. 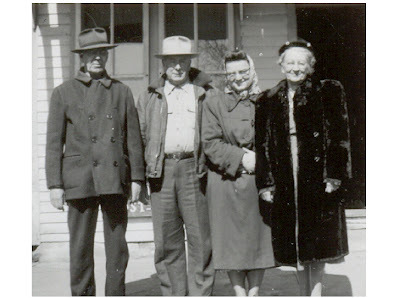 Emily M. Seidlinger Drexler was the postmaster in Brandon from November 1914 until her retirement in April of 1951. 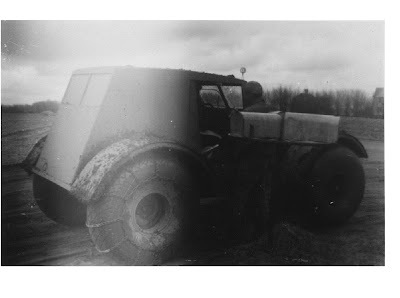 This picture may have been taken during World War II. Notice the Defense Window in the picture. Henry Johnson rural mail carrier for 33 years. Clarence Johnson rural mail carrier for 40 years. Margaret Lehn postal worker. 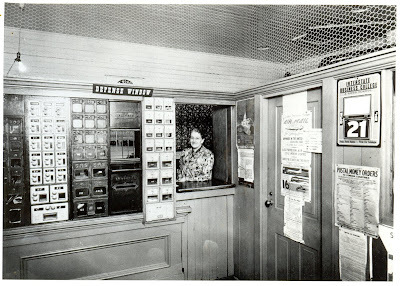 Emily Drexler postmaster for over 36 years. 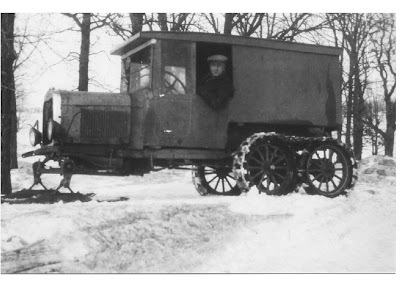 Henry Johnson's home made snowmobile used to deliver mail to rural residents.